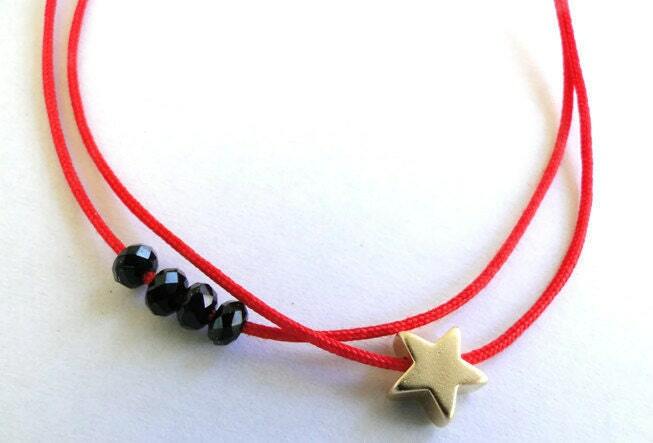 This Bracelet is made with a 14k Gold plated Tiny Star and Crystal Black beads in Red Cord. ✪ Tiny 14k gold plated star. More charms available! 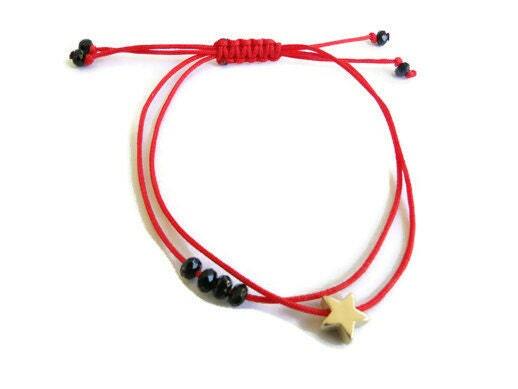 ✪ Adjustable Knot great for any size of wrist. ✪ Red waxed cord. Available in many colors! Thank u. All 6 bracelets i ordered are cute and all as described.